Designed for Embroidery, Quilting, and Decorative Stitching. Shine bright with Glitter! Glitter is a flat, hologram mylar thread which has incredible shine. Available in 24 colors. Glitter is made from a 4-ply film (twice as strong as other mylar threads). 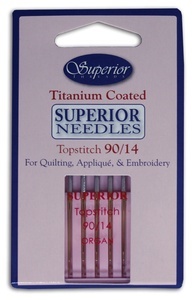 Use a Superior’s Topstitch #90/14 needle and a reduce the top tension to 1.0 and Glitter is guaranteed to work. 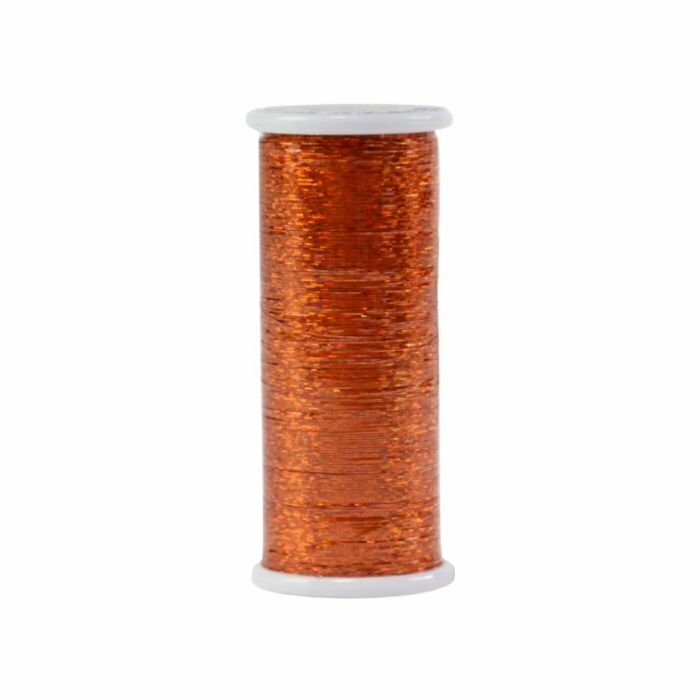 #266 Orange Glitter (Hologram) 400 yds. #101 LIGHT PURPLE Glitter (hologram) 400 yds. #103 BRONZE Glitter (hologram) 400 yds. #104 24-KARAT Glitter (hologram) 400 yds. #105 GUCCI GOLD Glitter (hologram) 400 yds. #106 ORCHID Glitter (hologram) 400 yds. #108 ATLANTIS Glitter (hologram) 400 yds. #109 STEEL Glitter (hologram) 400 yds. #110 FUCHSIA Glitter (hologram) 400 yds. #111 PEARL/CRYSTAL Glitter 400 yds. #112 PEACOCK Glitter (variegated) 400 yds. #113 CORAL PINK Glitter (hologram) 400 yds. #114 RAINBOW Glitter (variegated) 400 yds. #130 RUBY Glitter (hologram) 400 yds. #131 IRISH Glitter (hologram) 400 yds. #133 COBALT Glitter (hologram) 400 yds. #135 BLUE HAWAII Glitter (hologram) 400 yds. 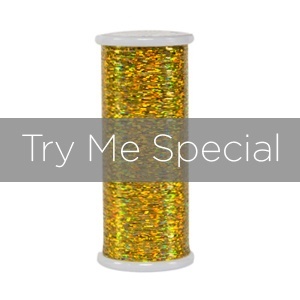 #201 GOLD Glitter (hologram) 400 yds. #202 SILVER Glitter (hologram) 400 yds. #203 PINK Glitter (hologram) 400 yds. #204 RED Glitter (hologram) 400 yds. #205 GREEN Glitter (hologram) 400 yds. #206 BLUE Glitter (hologram) 400 yds. #207 MIDNIGHT Glitter (hologram) 400 yds. #208 LILAC Glitter (hologram) 400 yds.